Delma was born in Paraclete and raised in Mt. Horne, St. Andrew. She attended the Paraclete Government School; the Grenville Secondary School (GSS); the T.A Marryshow Community College (TAMCC), and later, the Teacher Education Department at TAMCC. She holds a Teacher Certificate in Primary Education from the Teacher Education Department of TAMCC and a Certificate in Teaching from the University of the West Indies, Faculty of Humanities and Education. Popularly referred to by her constituents as "Teacher Del", her long time residency in the constituency having stretched from Paraclete to Mount Horne. As a 12 year veteran of the educational system ,she has always been recognized for her unselfish and dedicated contribution to life-long learning. Thomas is described by her constituents as humble, compassionate and people oriented with a strong religious background that embodies good moral and Christian values that has influenced her upbringing in life. Her decision to enter the challenging arena of politics is influenced primarily in her love for God and her people. She harbors a wonderful vision for the socio-economic and infrastructural development of her constituency as well as a desire to see her people receive the effective parliamentary representation that they deserve. She holds the conviction that the presence of a true representative of the people should be both seen and felt. Her personal motto is "acta non verba" (action not words). Following the NNP's election victory In February 2013, Thomas was appointed Minister of Social Development and Housing in the Keith Mitchell Administration. 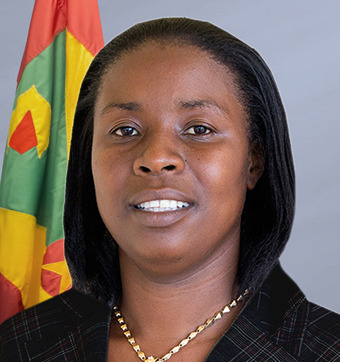 Thomas is defending her St. Andrew North West seat for the New National Party (NNP) in the 2018 General Election.